Whether you looking for the height of luxury or road-ripping performance, you’ll find what you’re after in the 2017 Mercedes-Benz C 300 Coupe. This sporty iteration of the classic line offers the kind of elegant design you’ve come to expect from the Mercedes-Benz name, while still bringing a few of its own special features and qualities to make it a wholly unique experience. With that kind of excellence, it’s no wonder drivers across Folsom are flocking to this model. In terms of performance, its 241-hp Direct-Injection 2.0L inline-4 Turbo engine is one of the most muscular in its segment, while the 7G-TRONIC® automatic transmission with shift paddles make it easy to harness all that power for yourself. And for luxurious amenities, you can expect dual-zone climate control and power front-seats with driver seat memory to ensure you and your passengers are comfortable. 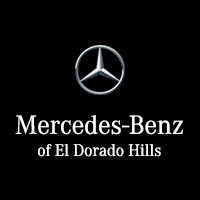 When you’re ready to experience the 2017 Mercedes-Benz C 300 Coupe for yourself, come on out to Mercedes-Benz of El Dorado Hills. Our wide selection of fine Mercedes-Benz vehicles and flexible financing options make it easy to find the coupe of your dreams. So contact us online, and drive home in style today!